Benicia police reported over the weekend that in true "Breaking Bad" fashion, they caught a San Ramon man red-handed with blue meth, but it wasn't "Walter White." Police in Benicia were alerted to a suspicious man scoping out cars in the 400 block of East 2nd Street, police said. 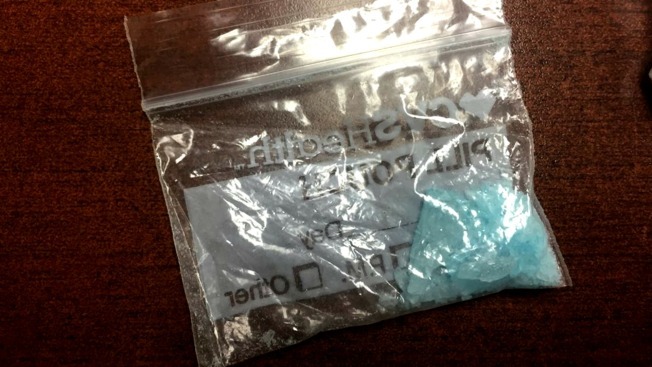 Two officer stopped the man, identified as 30-year-old Joshua Scott of San Ramon, and found blue methamphetamine, which is the central drug depicted in the hit television series "Breaking Bad," in his car. Walter White is the main protagonist of the series. Responding officers searched Scott's car after learning that he was on probation for burglary and had a $175,000 warrant out for his arrest for burglary charges, police said. Scott was arrested and transported to Solano County jail, police said.